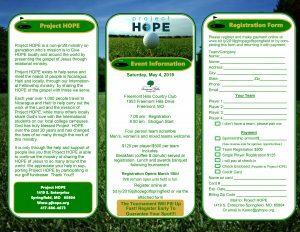 Project H.O.P.E. – Project H.O.P.E. is an inter-denominational service organization dedicated to meeting the immediate physical needs of impoverished people, while sharing with them the Good News of Jesus Christ. 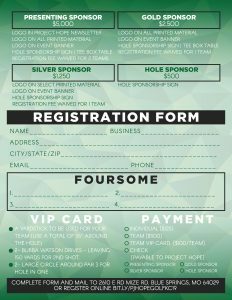 Saturday, May 4th, 2019 at 7:00 am There are still sponsorship opportunities available. Begin now to get your team together and register today! Call the Project HOPE Springfield Office at 417-886-4673 for more information. Click here to register today! Watch the introduction of Fellowship School of Hope partnership with Fellowship Greenwood. The school is located in a rural area outside of Pignon. The school partnership will be launched in September 2019! Friday, May 17th, 2019 at 7:00 am We are excited to announce that this year’s event will be at WinterStone Golf Course! There are still sponsorship opportunities available. Begin now to get your team together and register today! Click here to register! 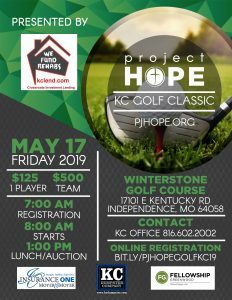 Call the Project HOPE KC Office at 816-602-2002 for more information. To give HOPE locally and around the world by presenting the gospel of Jesus through relational ministry.